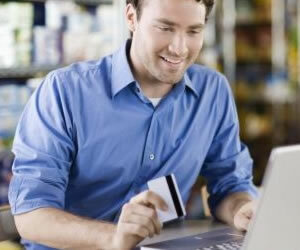 Overhaul for Business Credit Cards?Overhaul for Business Credit Cards? Home › Credit Cards Blog › Overhaul for Business Credit Cards? If Congress has its way, credit card companies won’t be able to market their business credit cards to individuals any longer. The 2009 Credit Card Act, which drastically changed the industry as a whole, did not directly affect those credit cards designed for small or medium sized businesses. That could soon change. It was announced today that several senators came together and made a plea to federal agencies to “crack down” on business credit cards being issued to individuals. Leading the partisan effort are Senators Charles Schumer (D-NY), Jack Reed (D-RI), Bill Nelson (D-FL) and Robert Mendez (D-NJ). The Federal Reserve is the governing body and if these senators have their way, credit card companies will soon be required to include certain guidelines whenever an application is made for one of their business cards. Specifically, these guidelines will spell out what these credit cards are intended for and that they are not to be used by families or individuals. They say the business credit cards don’t offer the same coverage, in terms of what the 2009 CARD Act, spells out, and therefore, these consumers won’t have the same umbrella of protection. Some banks and credit card carriers have already taken their own steps in protecting consumers. While Bank of America and Bank One don’t say individuals can’t apply for their business cards, they do have disclosures included in its business credit card offers that those who use these credit cards won’t have those same protections as the traditional cards designed for the everyday consumer. The letter issued in mid-June by the senators say they are “concerned” about marketing efforts and want to be sure Americans who are using these credit cards are aware of the risks that jeopardize their credit histories. It should also be noted a recent Pew Charitable Trust study reveals that of the twelve biggest credit card issuers, there are none that are sidestepping or attempting to bypass in any way the new stricter regulations courtesy of the CARD Act. With indications that the economic conditions are once again on the upswing, it should come as little surprise that there are new small businesses being opened across the nation. If you are one of these new business owners and are looking for the right credit card to meet your needs, we’ve included a few of the highest rated offers below. This Chase credit card offers 3% cash back on items such as office supplies and restaurants. Not only that, but cold hard cash is always a bonus for any business and after you’ve made your first purchase with the Chase Ink Cash, you’ll receive $150 cash back. A 0% APR for the first six months means even more money in the bank and there’s no annual fee to use this card. This charge card offers several rewards and benefits, including no introductory fee your first year (though that fee is $125 every year after) and because it’s a charge card, there are no worries about an APR. Applying for the AMEX OPEN Card is easy and you’ll receive an instant decision. Finally, if you move $50,000 of your business purchases onto the OPEN card, you earn 25,000 bonus points every year. Finally,we take a look at the Visa Small Business Micro Loan credit card. This offer is easy to take advantage of, even if your credit scores aren’t exceedingly strong. Credit limits can be as high as $750, which means those unexpected daily expenses won’t distract you from running your business. The APR is slightly higher than other comparative offers, but for those who don’t qualify for other card offers, this is often the right solution. Remember, applying for and receiving a business credit card doesn’t offer the same protections under the 2009 CARD Act. As always, be sure to carefully review the terms and conditions of any offer so that you’re making the best decision for your unique needs.